Affinity groups are an opportunity for Vanderbilt students to come together around a shared identity and/or interest they hold. Affinity groups provide an affirming and brave space for individuals to discuss their needs, challenges, and successes. These groups are free and open to Vanderbilt undergraduate and graduate students. Groups meet on campus and are peer and staff facilitated. For more information regarding the specific affinity groups that are offered or if you would like to help start an Affinity Group, contact LGBTQI Life Program Coordinator, Roberta Robison (they/them) at roberta.l.robison@vanderbilt.edu 615-322-3330, or stop by the Office of LGBTQI Life located in the K.C. Potter Center. Continuum is a process-oriented therapy group for students wishing to give and receive support around sexual identity and/or gender identity. Individuals interested in this group may identify as LGBTQI, or may choose not to subscribe to any particular label or category. Continuum provides a safe, confidential, and affirming environment to discuss identity, community, self-esteem, intimate relationships, family & friendships, and other issues of relevance. The group is also open to other topics, such as depression and anxiety that may not be related to one’s sexual identity or gender identity. Please contact the UCC (615-322-2571) for more information. T.Y.M.E. is coordinated through the Just Us program of the Oasis Center. Every month, trans youth are invited to come together to develop new friendships, engage in facilitated conversations, and explore the complexity of gender identity and gender expression in our current society. Each month our trans young people generate new themes and topics for discussion, which ensures that our sessions are always relevant and informative. 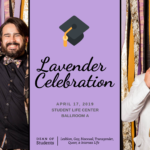 The Tennessee Vals is a non-political, educational, social, and support organization founded and designed to educate and support persons regarding transgender issues, without prejudice, regarding sexual orientation, sexual identity, or gender identity. 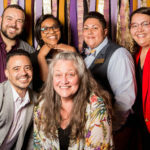 The Tennessee Vals helps educate and support those dealing with personal issues and concerns related to sexual identity and/or gender identity, both by those defined as transgender and those in relationships with transgender persons. The Tennessee Vals also serves the interests of the transgender community in the Nashville area in educating the public and promoting a positive public image about transgender persons. Follow T-Vals on Twitter or Facebook. 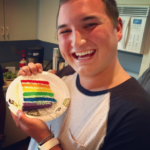 Middle Tennessee Trans Men is an FTM support group based in Nashville which meets in a private location open to everyone in the FTM spectrum. This includes (but not limited to): pre-op, post-op, mid-transition, people who are curious, questioning, not wanting to transition, out of the closet, in the closet, and etc. We welcome and encourage significant others as well as supportive family and friends! This group meets at 5:00pm on the second Saturday of the month for the transition meeting and afterwards we meet concurrently with the T-Vals, a group for all trans people. Contact Middle Tennessee Trans Men for additional questions or for more information on current events.